Couldn't agree more with you sister. 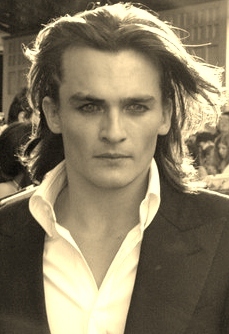 Rupert Friend is DELISH. Yup he has this "pretty" features that reminds me of the LOTR elves (aka Orlando Bloom and they DO look alike) but those eyes and sharp cheekbones holds a certain degree of danger and ferocity, giving him the aura of being vicious like Cruce.